Jim Leyland, manager of the Detroit Tigers and longtime fixture of Major League Baseball, is not above the law. So when Michigan’s statewide smoking ban took effect on May 1, he was barred from smoking cigarettes and cigars in his workplace, Comerica Park. Leyland had been known to sneak into the bowels of the stadium for cigarettes between innings. Now, though, this occasional cigar smoker has to remain tobacco-free at the ballpark just like the rest of us. I’ve always thought it a shame that it’s so difficult to enjoy cigars inside big league parks. (My colleague and I actually petitioned the Washington Nationals to accommodate cigars back in 2006. We failed.) Sure, a few stadiums—including Comerica—have built-in cigar bars, but admittance to these exclusive locales includes a hefty price tag and segregation from the outdoor splendor of baseball. Too bad. Baseball and cigars are such a wonderful pairing. 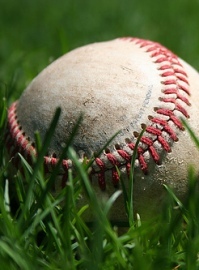 Unlike faster-paced sports and sports that are played indoors or out in the cold, America’s pastime is meant to take place outside under natural summer sunlight. Nowadays most teams play most games under the lights. But when I think baseball, I think suntan lotion, floppy hats, peanuts, cold beer, and frosty malts. I also think relaxation. While many criticize baseball for its lazy pauses between pitches, batters, and innings, I’ve always enjoyed those breaks. They give you the opportunity to study the game and have conversations. Is this a hit-and-run scenario? Would the opposing manager consider a pitch-out with this count? How does this hitter fare against left-handers? Are they drawing the infield in to guard against a bunt, or are they staying at double-play depth? The answers to such questions are better pondered over premium tobacco. That’s one of the reasons why, when I can’t be at beloved Wrigley Field to watch my hapless Cubs, I do most of my baseball watching at home. The laptop computer is such a great resource. For a price, you can watch or listen to any game—live or archived—in the comfort of your patio furniture. The atmosphere is perfect. Cigars are welcome and plentiful, and beers are more modestly priced. So, notwithstanding the NHL playoffs, now is the perfect time to set aside an evening or a weekend afternoon, spark a big cigar, and relax to the sights and sounds of bats cracking, umps yelling, fans cheering, and beer cans opening. Each team only has about 120 games left. That may seem like an eternity, but baseball season goes by way too quickly. I finally took the plunge and signed up for MLBTV. It's been great. After putting the kids to bed I head out to the deck, fire up a cigar, crack open a beer and start watching Cubs baseball. I didn't know leyland ever smoked cigars (and I'm from the Detroit area). I only ever saw him with Marlboro cigarettes. Funny thing is, the city of Detroit instituted a smoking ban years before Michigan, but it got little publicity and wasn't really enforced. I don't think he was supposed to be smoking in his office at all since about 2005. A few years back I traveled to Pittsburgh for a cigar night, a nice thing they did a couple times until the pleasure police put a stop to it. They sold 250 tickets in an area they would never have been able to sell tickets for…and it was great, smoking cigars and watching (or not) baseball with a great bunch of cigar freaks. I've been known to watch NHL on the deck with a cigar…perhaps tonight even! I love both (cigars and baseball) but have never been able to experiance both at the same time.